Pizza!!! 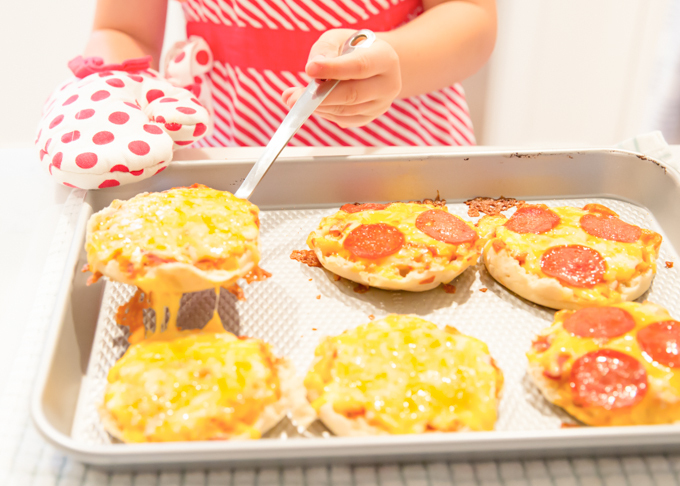 I love pizza and these English Muffins Pizzas were easy enough for me to make by myself! They were delicious too! 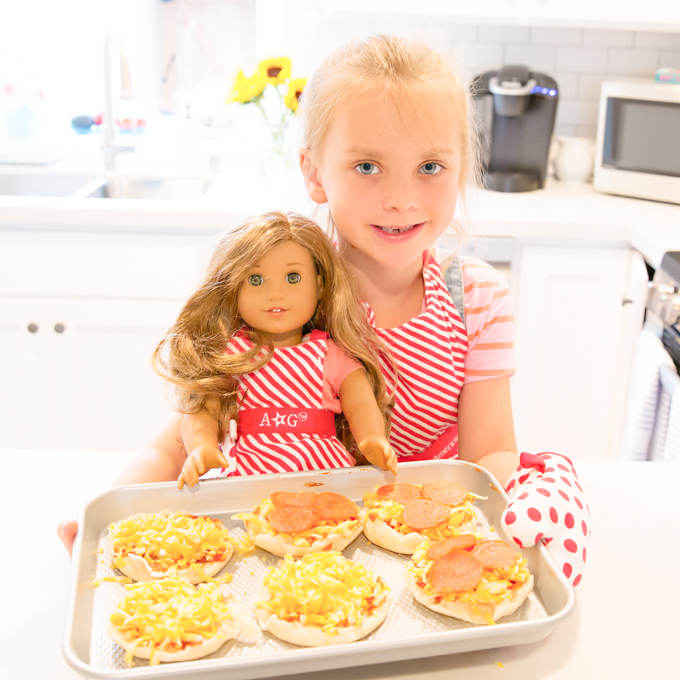 These English Muffin Pizzas didn’t need a recipe, but I’m going to share how I made them. When you cook, you always start by getting out everything that you’ll need. We used Thomas’ English Muffins, pizza sauce, cheese, and my Nana wanted some pepperoni on hers. I started by grating a lot of cheese. We used Colby Jack. After the cheese was grated, I layed out the english muffins on the baking sheet, then began to spread the pizza sauce on each one. 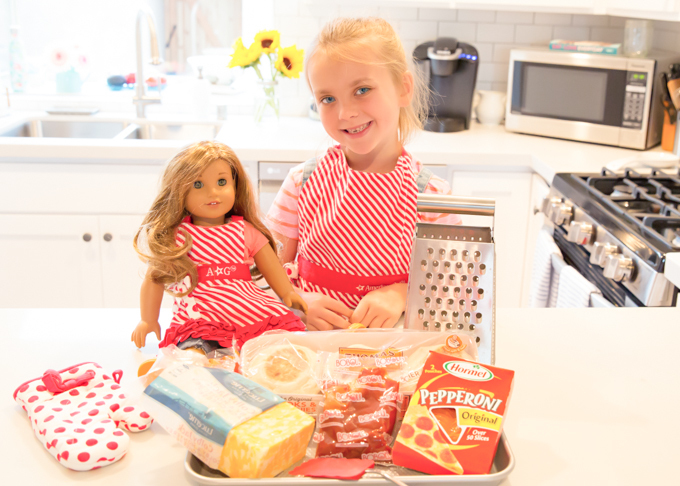 We always use Boboli Pizza Sauce, my Nana thinks it is the best! 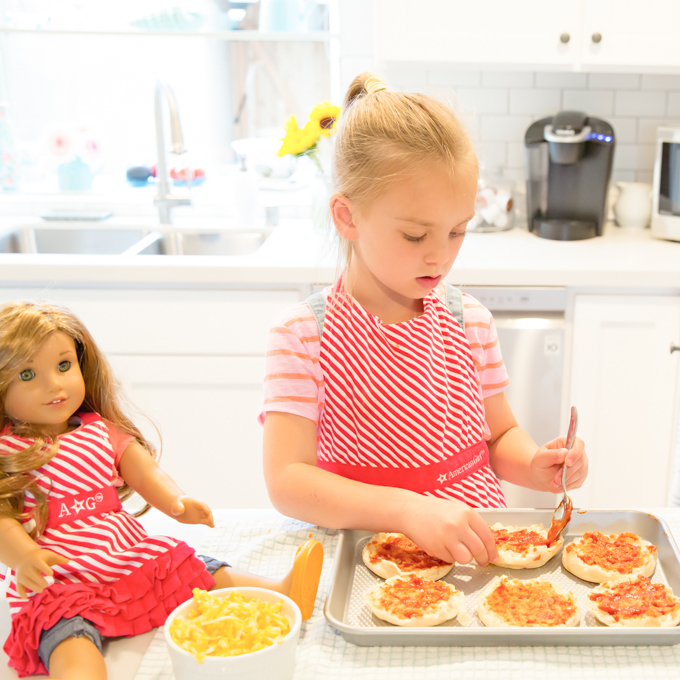 Lea, my American Girl doll loves pizza, so she got to help me in the kitchen today! I love our matching aprons!!! After the sauce, I added LOTS of cheese to each english muffin. I like my pizza really cheesy! Then comes the pepperoni, and into the oven. Nana always helps me when I use the oven or the stove. Look how yummy these look! Lea enjoyed her pizza with pepperoni also! We both had some fruit and I had some carrots also. At dinner time, we almost always drink a big glass of milk!! 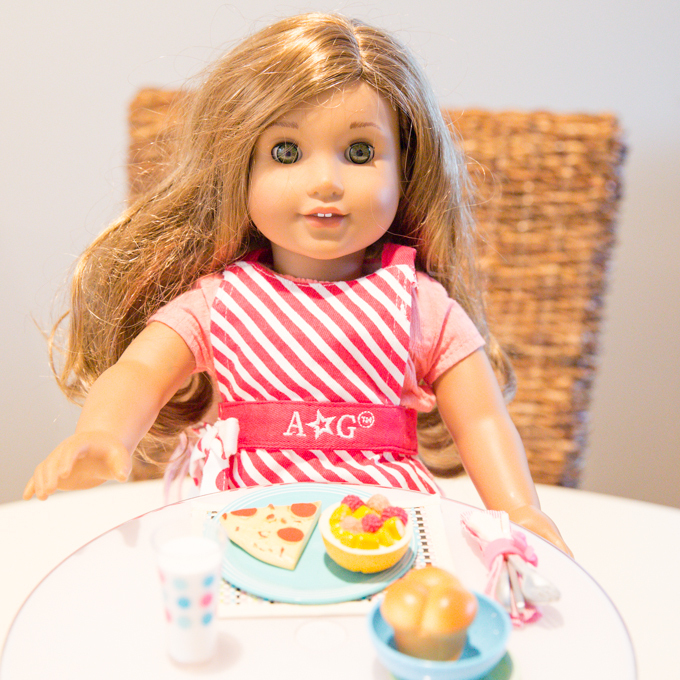 Gigi Bean says: “Peatsu is rilly fun! My doll gets to olwees backe whith me mastuvall. YUM!!!!! Nana translation: Pizza is really fun! 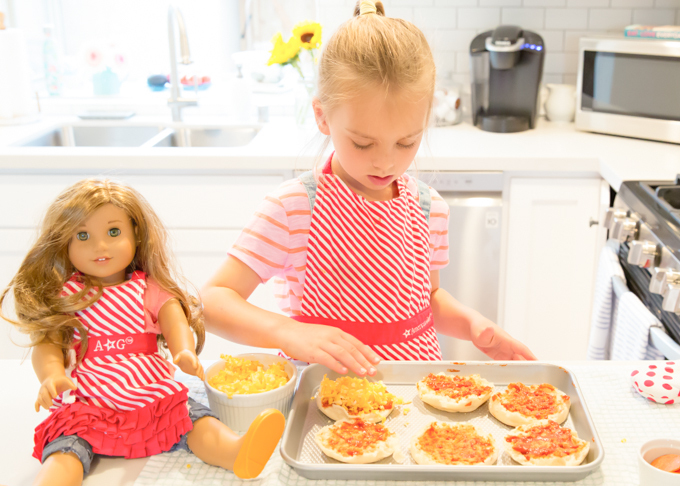 My doll gets to always bake with me most of all. YUM!!!! 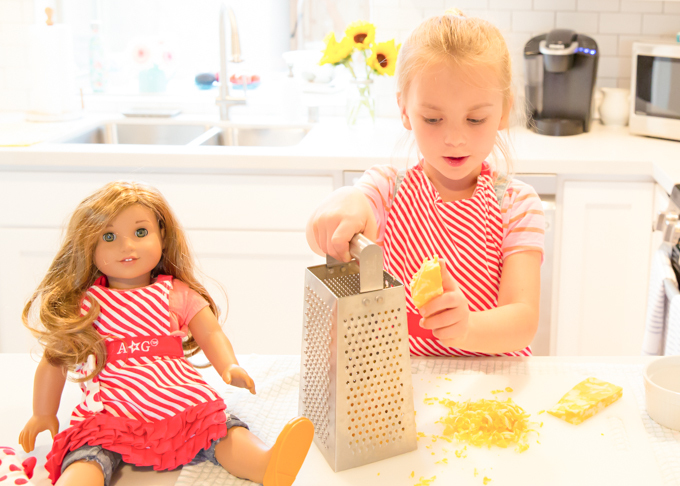 Grate the Colby Jack cheese and set aside. Split english muffins in half and place onto baking sheet. 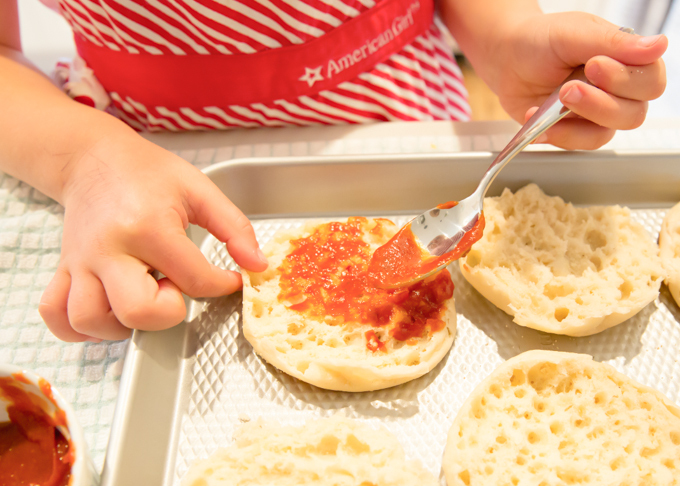 Spread pizza sauce on each english muffin half. Top with lots of grated cheese. 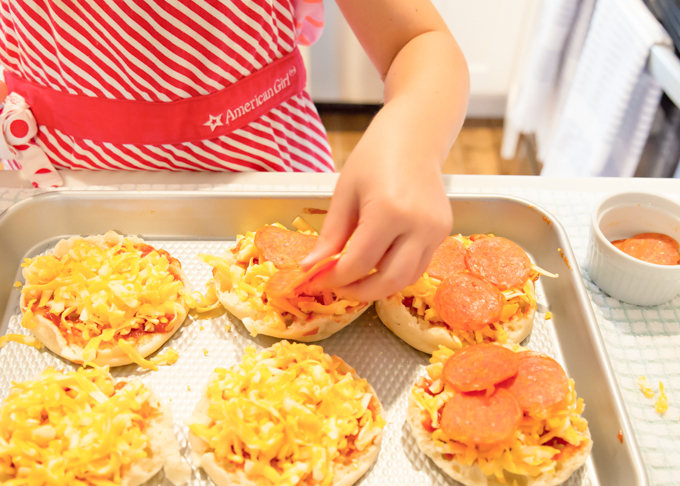 Add some pepperoni (or not, it you don't like it). Bake in 375* oven until cheese is bubbly hot, about 10 minutes. I used to make these when the neighbors all took boats and went up River in Sonora. Well loved by all. Thry them with hamburger or shrimp, so good!